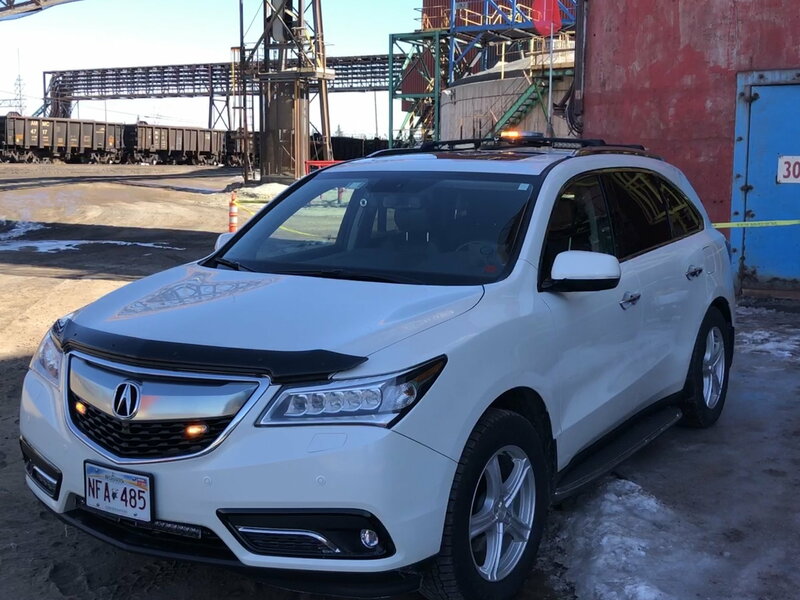 This winter I installed additional lights on the MDX. I do find that the factory lights are good, but what I really wanted was to light up the sides of the highways, to be able to see animals that are approaching the road. 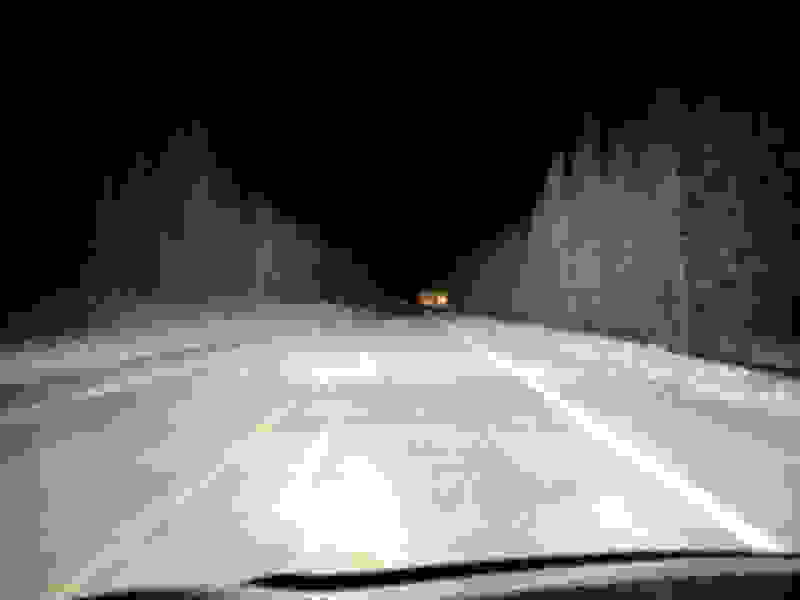 Last night while travelling some dark back highways, I took a couple of phots that show the results. I’m quite pleased with how they turned out. Factory lights with high beams on. Second photo: with 25,000+ lumens of additional lights! With 25,000+ lumens of additional light! Care to post a pic of the vehicle itself with the lights installed so we can see what they look like? I knew someone was going to ask that. I hate taking photos of the vehicle in the winter, but it’s relatively clean at the moment. 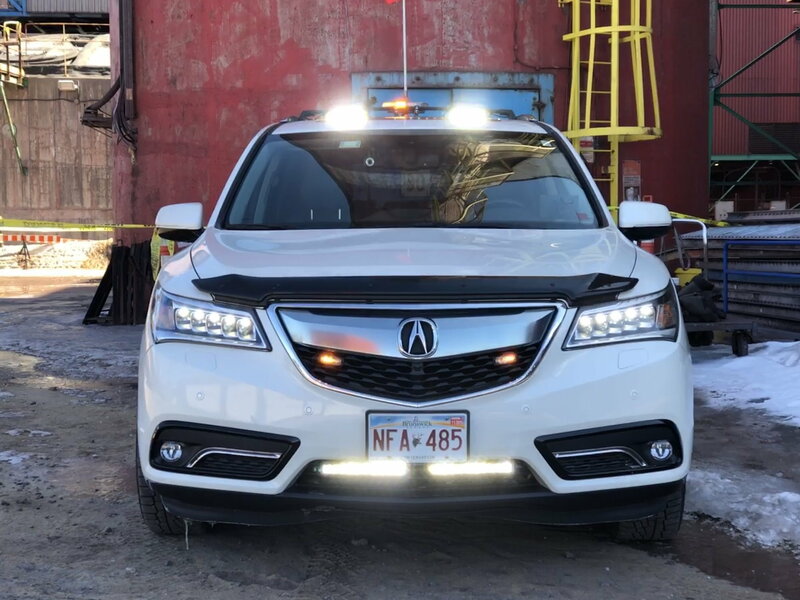 I’m on a mining job site this week, so the safety strobe lights and flag are also mounted on the vehicle. The lights are mounted in the front air dam, as well as under the front roof cross bar. Yes, I don’t know how many are active in both forums. WOW! What a difference! That looks amazing. So the amber colored lights on the grille are the strobe lights right? I am taking a long road trip in a couple months and I'll be going through some rural areas and was thinking to add some additional lights. Do you mind sharing the model of the lights? Also how difficult was it to install? I installed the OEM fogs myself so I have some experience. I already get people flashing me when I have my regular headlights and fogs on, so these might drive people crazy. The orange lights are strobes. 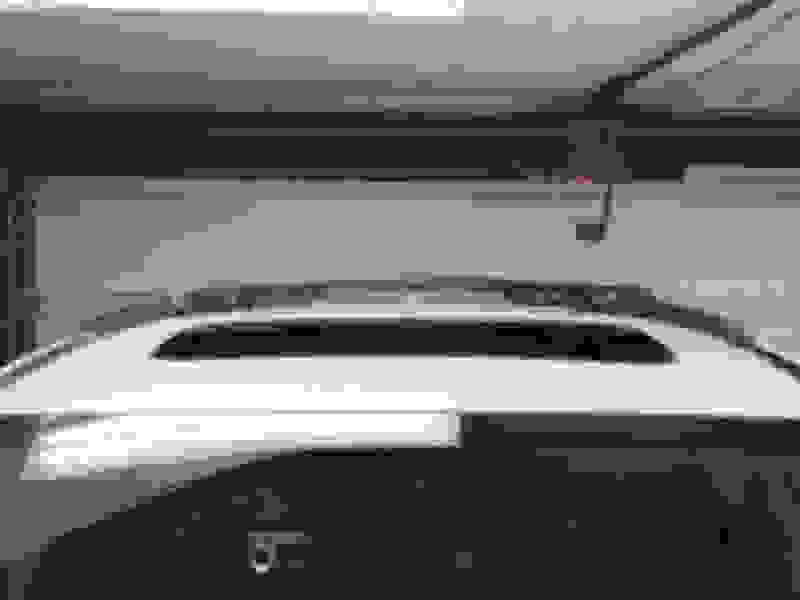 I have two in the rear as well mounted on the wing above the rear window. I definitely don’t turn the aux lights on when there are other vehicles around. They would be blinding for them. I have them set so that I can control them with the high beam signal. As soon as I kill the vehicle high beams, the aux lights go off too. I went with the Midnight edition SR Pro series from Rigid Industries. They use blacked out optics and lens so they “hide” better. The ones on the roof are tucked under the front crossbar. They are a pair of 6” units. I manufactured special brackets and ran the wires up the A pillar, under the headliner, out under the roof rail, and into the crossbar so none of the wiring would show. The ones in the lower air dam are a pair of 10” units. Those too are mounted with custom brackets that are bolted to the bumper. Not the outside shell, but the actual metal bumper inside. 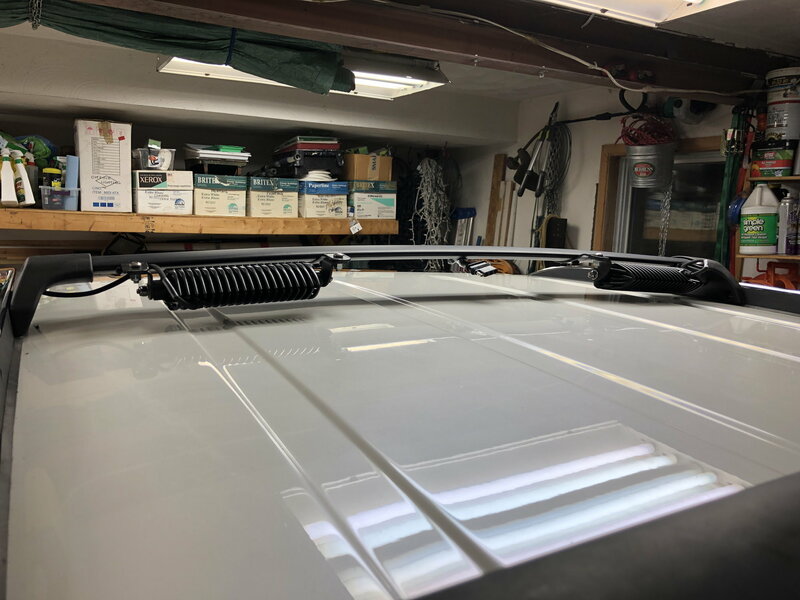 The wires come in the same way as the fog light wires with a quick disconnect in case someone needs to remove the bumper in the future. And depending where you live, you might also fail the annual vehicle inspection. I know lights are a point of emphasis in many states. Amazing! Thanks for the detailed response and pictures. It seems you put a lot of thought into the installs and lots of attention to detail. The brackets you created look really good and sturdy. I'm going to look into the 6' ones for the grille. While everything is nice and bright, there is a good reason why these things should be off-road at low speeds only. And that is because of how the brain works and how it processes light. 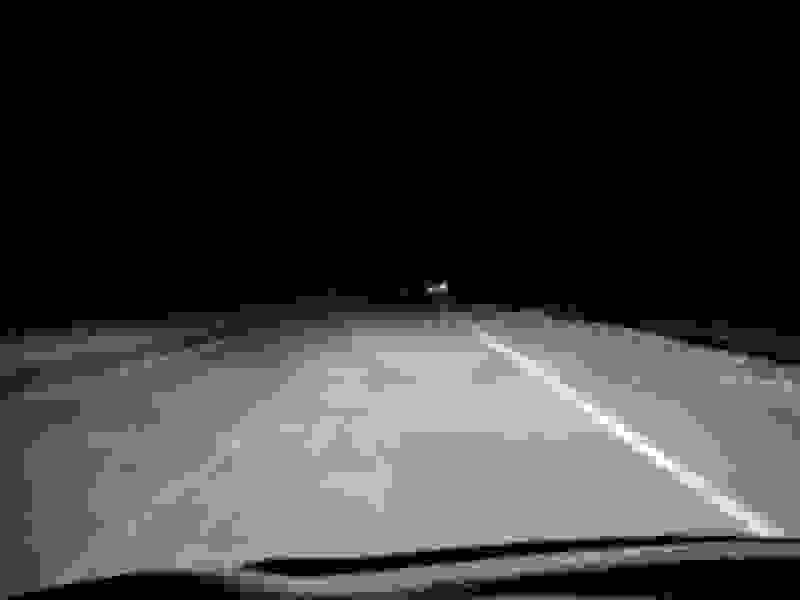 In the first picture, your eyes are drawn down the center of the road. In the picture with the additional lights, your eyes are drawn to the hotspots immediately to the front of the cars and to the trees - both places you don't want to be looking at speed. Before you go "but rally cars..." - they have different requirements, are ailed differently and aren't driving at speed on public roads. I’m going to guess from your response that you have never narrowly avoided colliding with a 6ft tall 800lb moose walking in from the side of the road! I can assure you that these are installed for my own safety and not for rally or off road purposes. (I don’t think I’d ever want to take this vehicle off road) And they are not used in the face of oncoming drivers either. Lighting up the sides of the road is the best prevention for hitting moose, deer, and bear around here. They call me the deerslayer - I've whacked 3, twice I saw them (and they hit me) and third time was at 20mph in pea-soup. In none of those cases would more light have helped. If you slow down to a speed where you aren't outdriving these lights, then you probably won't need them. Yes, it is a tough call at times, but more bad light is not the answer. What may help is far less bright, warm lighting to illuminate that area to allow your eyes to see movement out of the corner of your eyes, but focusing on the road ahead. Long distance (aux) driving lights?